A garden-themed quilt to be won in a raffle. Sunshine Coast Riding for the Disabled are hosting their Annual Scone Off and High Tea to raise funds and awareness of Sunshine Coast RDA on Sunday 5 May at 2.30pm. SCRDA and Noosa Foodie, Martin Duncan, will be hosting this event in the undercover arena at the RDA Centre at Monak Rd, North Arm. Imagine a long table in the arena, with antique cups and saucers, posies of flowers along the length of the table with a couple of horses watching on. 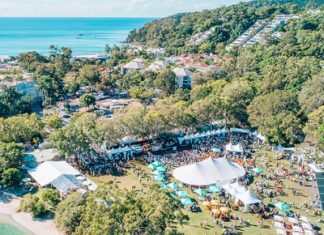 There will be an array of scones with jam and cream with businesses from the Mary Valley Country competing against Noosa Country businesses for the bragging rights of best scones. 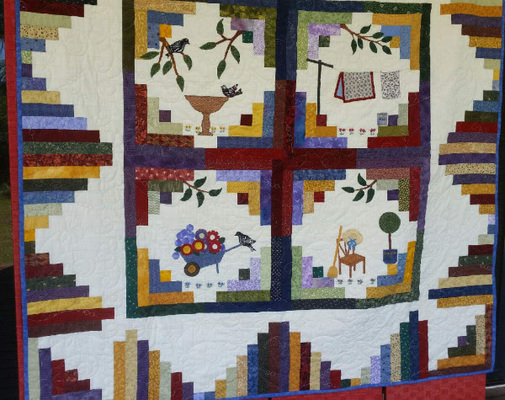 There will also be a raffle for a beautiful garden-themed quilt to be drawn on the day, donated by Sunshine Linus – Nambour Group. Tickets to the “High Tea” are available at www.trybooking.com/book/event?eid=476945&. and raffle tickets for the quilt will be sold for $2 or three for $5.